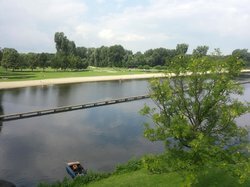 Cool and relaxed afternoon in Rotterdam! Paul perfectly anticipated our needs and prepared a great customised tour for our group of 14 friends. Very relaxed, good culinary mix combined with the best sights of the city! It was truly my pleasure showing you around, great group of friends! I'll look forward to welcoming you back and quizzing you on the nicknames :). 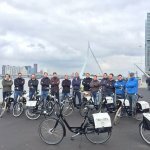 My husband and I only had one day (less than that) to spend in Rotterdam and the Bike & Bite tour was the perfect way to see the city and get a feel for it! We loved Rotterdam's architecture, food and vibe. Our tour guide Paul probably had a lot to do with it! He accommodated both English and French speakers on our tour and knew a lot of fun facts and took us to taste excellent food. He did a fantastic job. We enjoyed the exercise, food and company. Thanks! Hi, thanks so much for this! Also thank you for your patience regarding the bilingual tour, took a little longer but worked out nicely with your help. 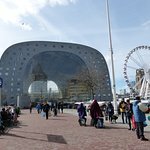 My wife and I had taken a mini cruise to Rotterdam and were looking to do a sight seeing tour of the city. Bike & Bite Tours were one of the few bike tour companies that were offering a tour so early in the spring (21st March). Our guide Rodger met us at Central Station and we proceeded to pick up our good quality hire bikes from the underground store room. 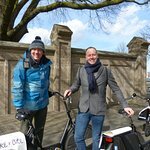 We then proceeded to visit the main parts of the city which was was easy to negotiate on bike as the city is very bike friendly. There are few buildings that survived the bombing of WW2 but what there was expertly pointed out by our guide who, as well as speaking perfect English, was a great ambassador for his own city. 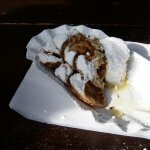 In addition to the sites we also visited 4 eateries to sample the delights of Dutch cuisine as well as to sample local drinks. And all this for €40 each! Great value and a thoroughly enjoyable day. This company really does deserve high ratings as I think it was one of the best tours and best value for money that we have ever experienced. Thanks a lot, Chris! Rodger certainly enjoyed being an ambassador to the city, as you so kindly put it. Hope you enjoyed the rest of your stay as well. A new way of sightseeing! 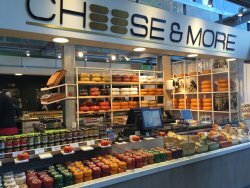 A great way to experience Rotterdam and the culinary treats this city has to offer. Time well spent! 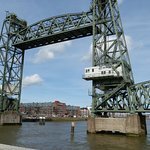 I booked the Bike and Bite tour as I had come to Rotterdam with my husband who was working and I wanted something interesting and fun to do - I was not disappointed! This tour was brilliant! I joined another group of three which could have been a little awkward howevervour guide, Rodger was fantastic and immediately made everyone at ease and pulled the group together. Rodgers knowledge of the city and the local areas we visited was great, he could answer any question asked and was happy to add in extra views at the request of the group. The food venues we visited were cool, hip and trendy with a local vibe which I really liked. I have a wheat and barley intollerance which can sometimes cause issues, not on this tour! Alternatives were provided with no hassle at all making the experience all the more enjoyable. The food hall was a great place to stop and I came back later in the day with my husband to have our dinner, something we wouldn't have done if I hadn't found the venue with Bike and Bite! Hi Alli, Thank you so much for kind words! I'm going to pass it on to Rodger, see you next time when you're in Rotterdam!